A review on targeted therapies for malignant pleural mesothelioma (MPM) provides fresh insight into why this cancer is so difficult to treat and ideas for improving outcomes. “Despite more than two decades of intensive research on the possible treatments for MPM, the results have so far been disappointing,” the authors wrote. According to the in-depth review, published in Critical Reviews in Hematology/Oncology, the next steps toward more tailored mesothelioma treatment will come from learning more about the changes driving abnormal cell communication. Researchers will use this information to personalize treatments based on characteristics of each patient’s unique tumor. “Improving our knowledge on the molecular changes and signaling pathways specific to MPM should help in the identification of biomarkers useful to develop personalized treatments based on the biological characteristics of each specific tumor ultimately offering better survival outcomes and quality of life for MPM patients,” the authors said. Standard of care refers to treatment widely accepted as the best therapy for a particular disease. For mesothelioma, that is a combination of cisplatin and Alimta (pemetrexed), two chemotherapy drugs. Even though this option is available to most MPM patients, the average survival for this group is just 12 to 18 months. The authors identified dozens of genetic changes found in mesothelioma tumors. The most common one, called CDK2NA, is present in about 80 percent of mesothelioma cases. Laboratory studies in cells and animals demonstrate treatments targeting CDK2NA and other damaged genes in mesothelioma tumors can halt tumor growth — but only for a time. These targeted therapy options have undergone investigation for MPM in the lab, yet none have provided any new therapeutic options in people with the disease. This lack of progress appears to be a result of mesothelioma cells’ resistance to a type of programmed cell death, known as apoptosis. When the cells do not respond to treatments by dying, they can continue to change, eventually finding another way to grow, even with the drug present. “A significant contributor to this high failure rate is the lack of reliable preclinical models to evaluate new drugs,” the authors wrote. Currently, mesothelioma is largely managed as one disease. Improve knowledge of signaling pathways in mesothelioma cells. Identify additional biomarkers that can be used to personalize treatments based on tumor genetics rather than cancer type. Continue to study drugs that prevent angiogenesis — the growth of blood vessels in and around tumors. Study additional, more effective medication options targeting mesothelin, a protein found on mesothelioma cells. Conduct clinical trials combining chemotherapy with targeted therapies, to overcome the resistance of mesothelioma cells to these drugs when each is used alone. 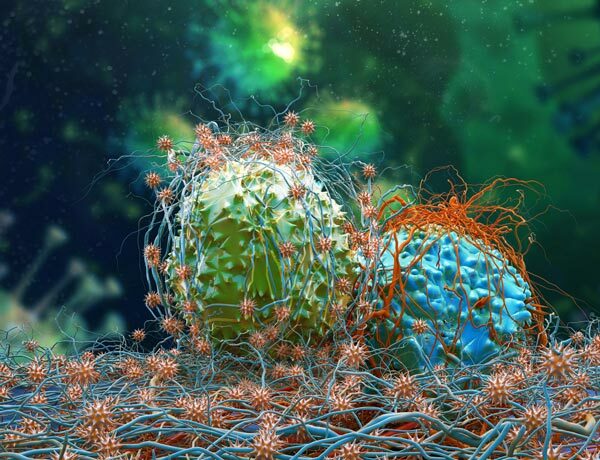 Learn more about the role of the immune system in the development of mesothelioma, with the goal of combining two or more immunotherapies and other treatments. Focus on smaller, randomized phase II trials, rather than large trials of single treatments or single-arm phase II trials. The authors describe why this last point is particularly important: It will help avoid the conclusion that a drug doesn’t work based on single-arm phase II trials. Some promising drugs may be dismissed as ineffective, when in reality, they could yield better survival if combined with other treatment options. Bronte, G. et al. (2016, November). The resistance related to targeted therapy in malignant pleural mesothelioma: Why has not the target been hit yet? Hartmann, J.T. et al. (2009, June). Tyrosine Kinase Inhibitors — A Review on Pharmacology, Metabolism and Side Effects.